It is a leadership challenge across New Jersey and it exists in every corner of business here in America. Many times it makes headlines when it involves politics or violence. The challenge is how we handle it. It is organizational conflict and it happens every day. In fact, normal conflict often makes for great decision making and increased efficiency in problem solving. It prevents groupthink on a larger scale it is a key part of our humanness. But is must be managed and resolved with engagementin mind for growth and continued success. Conflict can happen between team members, from a lack of recognition, because of tough assignments, and workplace stress. Tensions, egos and pride often bring issues to the surface. Arguments and anger often can ensue. Sadly, in any situation, conflict can never be completely avoided. How leadership manages it can make or break the situation. 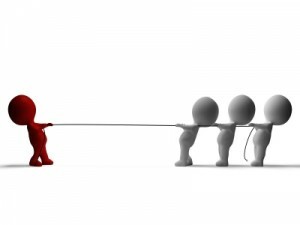 When leaders manage conflict correctly, they also manage retention and morale. These are important points to ponder. A healthy company manages stress, absenteeism, performance, and conflict with principle and understanding. When Dale Carnegie Training looks deeply into any situation, conflict is often a communication problem. And it can hide bigger issues that affect many other problems in the workplace. Good leaders are constantly assessing conflict and morale. It is important to sense a problem before it surfaces and ignites into an issue. Everyone knows that no one is perfect and good people can have a bad day. Within a culture of well-being, there is a high degree of employee engagement. Engaged and involved employees stand the best chance of being mature in a multitude of circumstances, and focusing in positive and constructive ways. The Dale Carnegie principle of winning friends and influencing people still stands tall today in high intensity situations. Confrontations and disputes will always happen. It is how leadership manages them that can make all the difference in the world.